Origin are the UK’s leading specialist manufacturer a range of bespoke aluminium Doors and Windows Based in Buckinghamshire, Origin’s products combine high grade aluminium with precision engineering to create functional and elegant products which are designed to last. Forget bifolds! The next generation in luxury patio doors is here. Enjoy our award-winning, hinge-free design and free your home from the constraints of a dated hinged system. Panoramic Doors Group is a high-end manufacturer of niche specialty glass wall solutions and custom windows. 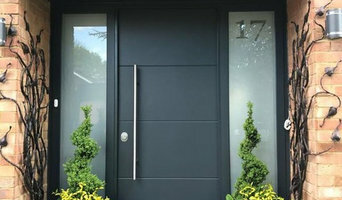 We love to dress modern-day residential properties with our contemporary doors that are magnetically connected rather than bi-folding. We provide our customers with installations guaranteed to brighten your home and open up your current living space, whilst adding value to your property. All of our products are proudly made in the UK with showrooms and custom fitters based in Bristol, Retford, Stoke-on-Trent, Motherwell, Manchester & Brighton. With Panoramic Doors there is no guessing about how much your doors and windows are going to cost. Even if you have a special size or design need, we can get pricing to you within 24 hours. Visit our website and fill out one of our forms! "A rare thing, Service. Good, old-fashioned service. Your team turned up a day early. And were courteous , efficient and helpful. That doesn’t happen too often nowadays." Mrs S. Bucks Frameless Glass Curtains enable you to truly bring the outside in, with unique, versatile Frameless Slide and Stack doors. Our Frameless glass Slide and Stack doors are designed without the ugly obstruction of a frame, creating a beautiful, open feel to your room, as if there is nothing there at all. What’s more, at Frameless Glass Curtains we pride ourselves on outstanding customer service, so you can relax, knowing your installation will be stress-free. We even offer a no quibble, ten year, insurance-backed guarantee! Our innovative product has been developed in-house since 2009, using our patented glass spacer bar technology, keeping us at the forefront of glazing design and solutions. Since then, we’ve taken on projects ranging from family homes, to churches, cruise ships and the Manchester United training ground. We offer interior or exterior Frameless glass doors, Roof Lights, Balustrades, Juliet Balconies, internal glass doors, Apex's, glass porches and floor to ceiling windows. 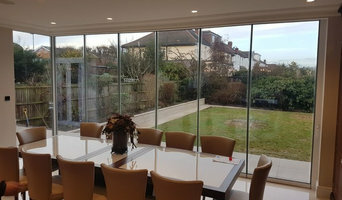 So, whether you want to bring more light into your room or make the most of your views and enjoy your garden from the ease of your home; if you’re looking for a way to break down the barrier between the inside and the outside, then our innovative Frameless glazing is perfect for you. Family run business Cerberus Doors has just celebrated its 8th year of success in the UK , offering high end security solutions for residential and commercial premises. Come and see us to discuss your requirements! Shire Doors specialise in the supply and installation of premium aluminium bifold doors, sliding doors, entrance doors & aluminium windows. We also install and supply aluminium lantern roofs, flat roof-lights and verandas. Our goal is to provide the most high quality, environmentally friendly and secure domestic doors available in the UK. We deliver and install with no fuss, no salesman and the best client focused customer service. We offer a full survey and in house installation service to guarantee the best fit, with a 10-year insurance backed warranty in addition to the extensive product guarantees. Our Origin bifold doors and windows come with an industry leading 20 Year guarantee. The Team at Shire Doors are trained to the highest professional standards. Our qualified surveyors, and in house fully employed fitting teams promote our mission to provide quick and efficient supply and installation of premium quality bespoke glazing products with honesty, integrity and transparency. For even more peace of mind we are a founding member of the Which? trusted Trader Scheme. Doors4UK offers every customer access to high quality doors, produced by the best manufacturers in Europe. Using only the finest, sustainably sourced timber, our products will enhance any space! All our products are available in bespoke sizes and any finish or style, whether it’s classic or contemporary. We will create a custom door to suit the particular room and the overall style of your home. Feel free to contact us to arrange for a complimentary measuring service and quote! Clift Joinery is London’s high-end, traditional sash and casement window supplier. We specialise in the manufacture of traditional bespoke sash and casement windows for period properties, using sustainable Accoya at very competitive prices. We are also proud to be the official London Agent for Slimlite Double Glazing as seen on Kevin McCloud’s Grand Designs TV. All our joinery can be supplied with this truly brilliant building product - it really does look like a single pane of glass, but with the amazing u-values of up to 1.3! With over 150 years combined joinery experience our highly skilled team manufactures all of our products to the very exacting standards your project deserves. To date we have successfully completed high profile projects including working with established industry names, like; David Chipperfield Architects, Pastor Real Estate, House of Hackney and Eleni Makri of Conservation PD, Tom Ford and Chanel. We have also worked on prestigious listed and conservation properties with; English Heritage, The Crown Estate, Grosvenor Estate, Westminster conservation areas, Hampstead Garden Suburb Trust as well as numerous conservation boroughs across London. We have also been shortlisted by the Hackney Conservation team. We love what we do – giving great friendly service and making exceptionally well-made joinery that lasts! Call us today for your free, no obligation survey and quotation. SDS has been supplying architectural ironmongery to the trade and public from our showrooms in Battersea for over thirty years. Our considerable experience and expertise means we are able to provide the highest levels of service to leading construction projects in the UK, Europe and overseas. Our Guild qualified staff are able to schedule and specify from architects drawings for small to large projects. The Coastal Approach and Philosophy At Coastal, we understand just how important our customers are to our business. Core to this is listening to them and working with our manufacturing partners to proactively select and bring quality products and new solutions to the market wherever we can. With a constant focus on increasing longevity and added value to the external doors and windows market, backed up with a dedicated customer service that includes site, telephone and online support whenever it is needed, the Coastal Group is setting the standard for quality. Our Core Values Solution Orientated > provide solutions within our product portfolio Continuous Improvement > always ready to change and innovate Attitude > always warm and friendly towards our stakeholders Potential > appreciating the potential Passion > for upgrading to quality products We only sell to manufacturers and accredited installers because we understand the clients’ need for the experience of a professional installation, operating out of the UK but delivering globally you can order any of our products no matter where in the world you are based. 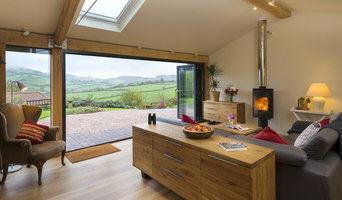 Primarily we supply and fit Origin Bespoke Aluminium Bi-Folding Doors. We spend time with the client discussing their options; possible door configurations to ensure the best design and functionality for them. 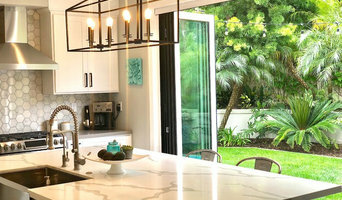 If looking at all the different styles, materials, types and sizes of doors makes you feel like you’re lost in a labyrinth of locked doors, then don’t despair; door manufacturers and door suppliers are available on Houzz to help design, build and install all sorts of doors. You can find photos of their previous work, reviews, recommendations and ratings from clients, and contact information so you can speak directly to any door makers you find that you think can help with your project. You might find that your door suppliers or manufacturers can help with your window frames, garage doors or other contractor work, or they may be able to put you in touch with other professionals they work with regularly. 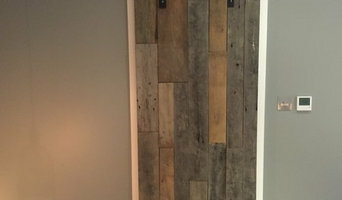 Here are some related professionals and vendors to complement the work of doors: Cladding & Exterior Contractors, Garage Doors, Home Builders, Design & Build, Artists & Artisans. For external doors, it’s usually advisable to go for something durable and insulated. Composite door manufacturers will make doors from a number of materials, usually wood inside and a more protective outer layer, so they are versatile and well suited to being used as back or front doors. You can choose from stable doors, panel doors, half-glazed doors or doors with intricate stained glass panels, in all sorts of colours and stains, and, if well-fitted, your composite door will still stand up to any weather. It’s always advisable to talk to your local door suppliers about the different materials, styles and types of doors on offer so they can tell you in more detail the advantages and suitability of all the doors you’re looking at. Door manufacturers can help with more than just your front door and internal doors - if you have a garden, there are a number of options for accessing it. Large glass doors can be really dramatic and bi-fold doors are a popular choice at the moment because they can completely disappear and open up a room to the outside. If you don’t quite have the budget to install bifold doors, patio doors or french doors can still bring in lots of light from your garden into your home. Talk to door makers about what they think could work for your home renovation project. Why should I hire door manufacturers or specialists? Find door suppliers and makers on Houzz. Look in the Professionals section of our website and search for door manufacturers and suppliers. Read reviews, look at project photos and see how a door professional can help your home improvement project.